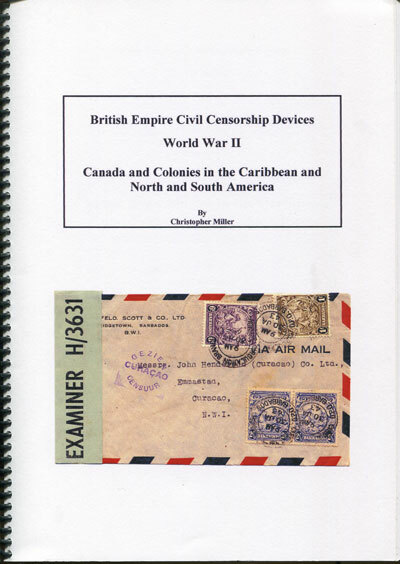 Showing items in Maps, Prints, Photographs Ephemera - British Virgin Is. 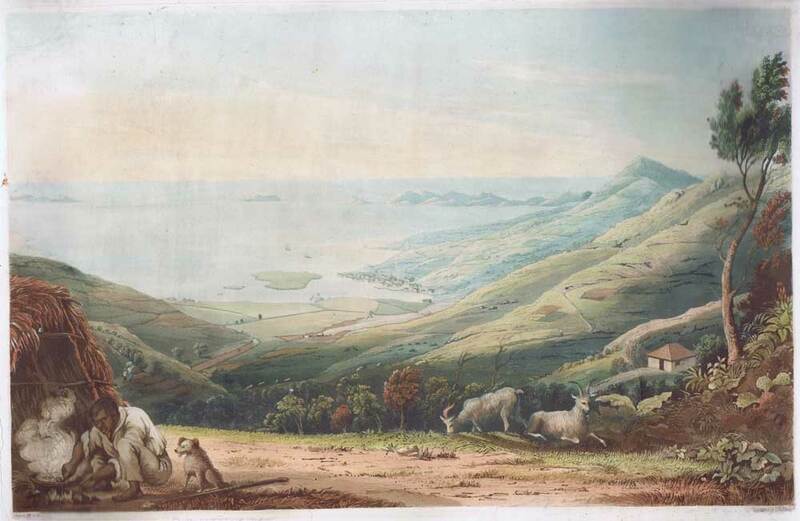 Old historical maps and prints of the British Virgin Islands for sale. All are originals. I do not sell reproductions. JOHNSON J. View in Tortola From Ruthy Hill. Hand coloured aquatint, the plate restored and mounted on later card. Cut close with loss of title. 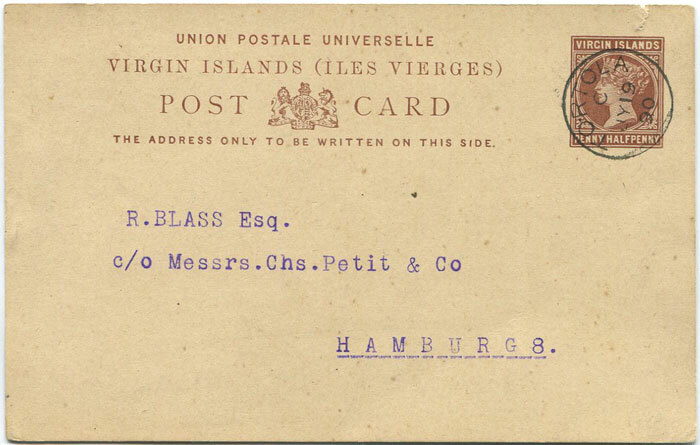 17 x 11"
1887 Virgin Islands 1½d postal card (H/G3), used in 1890 to Germany with TORTOLA cds. No message. Tiny nick at top right. 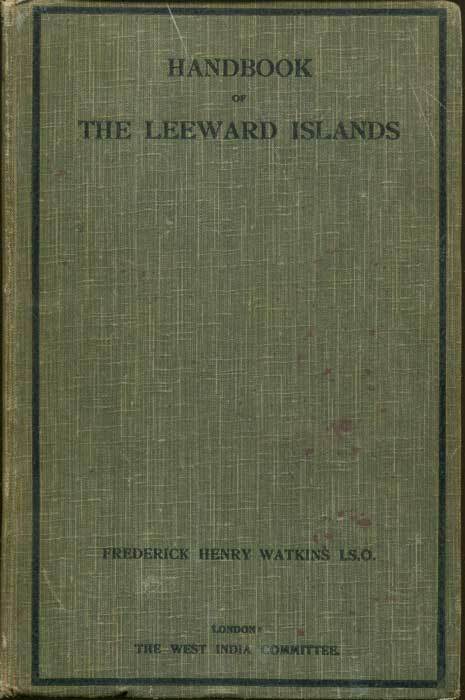 WATKINS Frederick Henry Handbook of the Leeward Islands. West India Committee 1924 308pp + plates and folding map. 1st ed., fine in worn and marked original cloth. Descriptions of each of the islands with details of the estates, botanic stations and history.